I'm finding it tricky to pick the perfect scent now that I'm approaching 30. Old favourites seem sickly sweet now but some classic scents are are a little over powering. 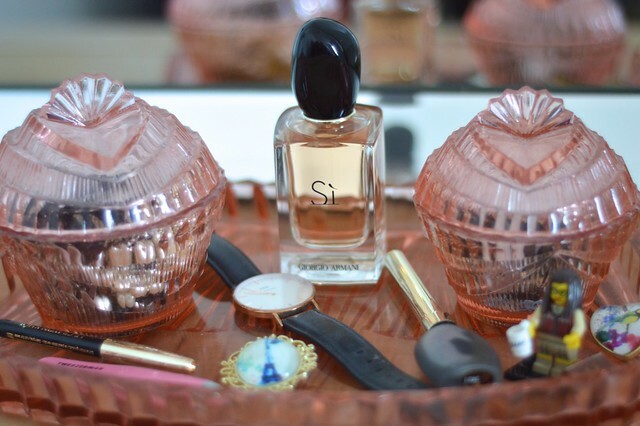 This scent is fused with Mandarin Oil, Roses de Mai, Blond Woods, Amber and Vanilla and Si feels like the perfect match for me; someone who isn't a teenager anymore but doesn't really feel grown up. I would say that this is quite a sultry, evening scent and it lingers on the skin. I'm currently eyeing up Estee Lauder Modern Muse as my next fragrance of choice after getting a sample in my latest 'gift time' bag when I repurchased my Double Wear foundation. 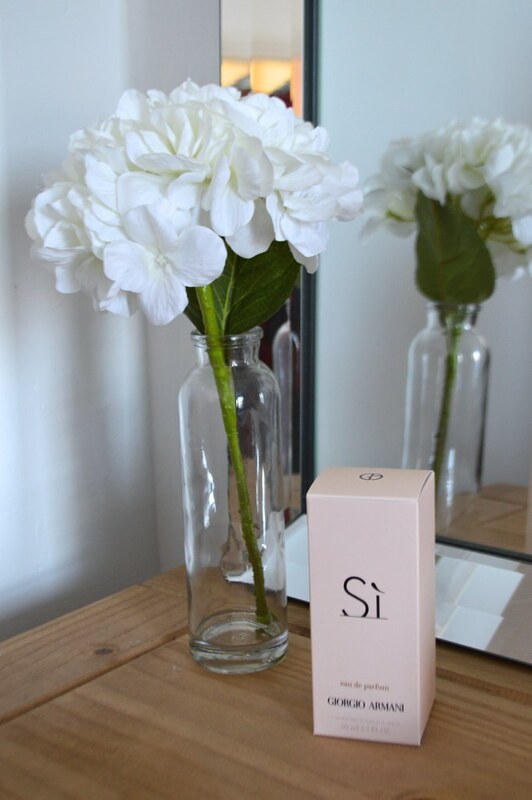 Si is quickly becoming my new favourite scent. If you have any scent recommendations please let me know in the comments, always looking to try scents that make an impact rather than lighter, floral types. I have incredibly sensitive skin, completely annoying adult acne and eczema around my eyes. All of these mean that I find it pretty tricky to find skin care that works for me and that doesn't make my skin red and sore. I thought all the the above would disappear after my teenage years but alas, I'm cursed with awful skin and have to make the most of it. Even really gentle cleansers dry out my skin and make my eyes sore so I was pleased to find the fluid delicate worked for me and removes all the make up and dirt on my skin in one swipe of a cotton pad. It is enriched with Hylauronic Acid which reduces the appearance of fine lines and as previously mentioned I'm quickly approaching 30 so I should probably start thinking about thinking about these things... 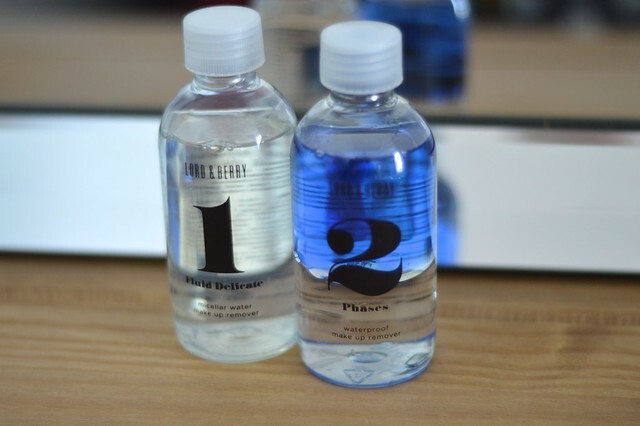 It isn't tested on animals and the eye make up remover that compliments it even gets rid of stubborn mascara. I went through a bit of a phase of being obsessed with the Mitford sisters who are an aristocratic English family and they enjoyed particular notoriety in the early twentieth century. Nancy was a writer, Unity had a Hitler obsession, Diana married a fascist, Jessica was a Communist, Deborah was a Duchess and Pamela lived a relatively quiet life and enjoyed looking after horses and poultry. 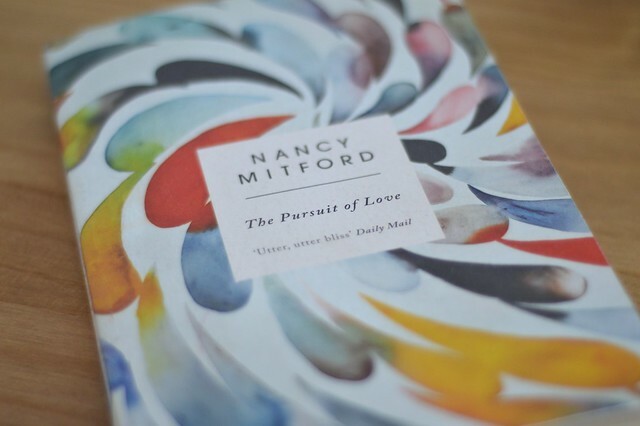 Nancy Mitford's most famous novel, The Pursuit of Love is a comedy about the British aristocracy in the twenties and thirties and charts the amorous adventures of the Radletts, an unconventional (bonkers) family closely modelled on Mitford's own. The book is incredibly funny, Nancy writes with a great deal of wit but there are also some more poignant moments. ― Nancy Mitford, The Pursuit of Love. Next up on my 'to read' pile are the Mary Poppins books, Love, Nina and Sense and Sensibility. I haven't read The Pursuit of Love for years. That's a beautiful cover on your copy. My mum really loves the perfume Si too. Im loving the nice sunny days at the moment! Oh how funny, I only just read 'The pursuit of love' and it was this exact edition! I've just read a Nancy Mitford biography - I'm a little obsessed with them too. I like comedies, so I will check out The Pursuit of Love.